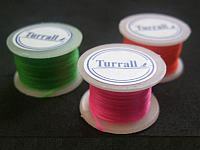 Pearsall's Silk has unique fly tying properties, in that when varnish is applied or when wet, it takes on different shades. Many old traditional fly patterns list Pearsalls silk colour shades because they produce the perfect body colour imitation of many Euipwing flies and their nymphs. Sadly, stocks of Pearsall's silk and silk floss are running out and no more will be produced once they are gone.. The original fluro range devised by Tom Saville offers a selection of colours that covers any application. A super quality single strand floss. A blend of nylon and rayon, it is strong and shiny. Extra bright single strand floss. Non-twisted it will lay flat and is strong and shiny. 600 denier white phosporescent floss, with advanced technology this material will glow brighter for longer. Available in white only. 1680 denier flexifloss on a spool. Easy to use and slightly wider than super stretch floss. Stretchy Lycra fibres which produce good, slim bodies and legs or feelers with lots of movement. 30cm hank length. 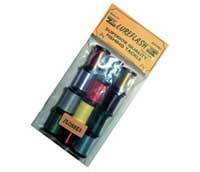 A bulked nylon floss which winds flat and is easy to use. This product is similar to Rayon Floss but, when wound on a body and acetate solvent is applied it will mould to any shape. An excellent way to buy fly dressing materials. Mixed colour packs of some very popular products. Enough to tie hundreds of flies. 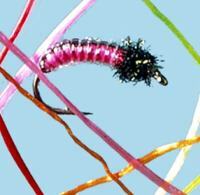 Used to form rayon traditional shiny bodies on all types of flies.